Mike Isabella is behind yet another pop-up. This time his forthcoming sandwich shop, G, is popping up at Graffiato. 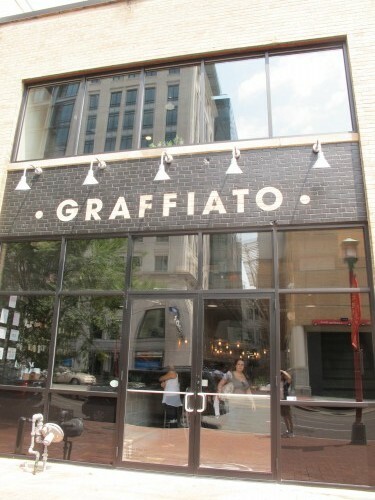 The first floor of Graffiato will transform into G May 13-17 from 11:30 am to 2:00 pm, serving a limited menu of sandwiches, salads, vegetables and dessert. Like G, all items will be available for dine-in or carry-out, but no reservations will be accepted for the pop-up. Guests may enjoy the full Graffiato menu on the second, where reservations are alway accepted. G is slated to open in early summer next to Kapnos at 2201 14th Street NW. The 40-seat spot will serve sandwiches by day and a four-course Italian tasting menu by night. The pop-up at Graffiato gives Isabella and his team an opportunity to test recipes before opening the new spots. Below is the G pop-up menu. Dear PoPville – How Much Should I Charge for my Rental?